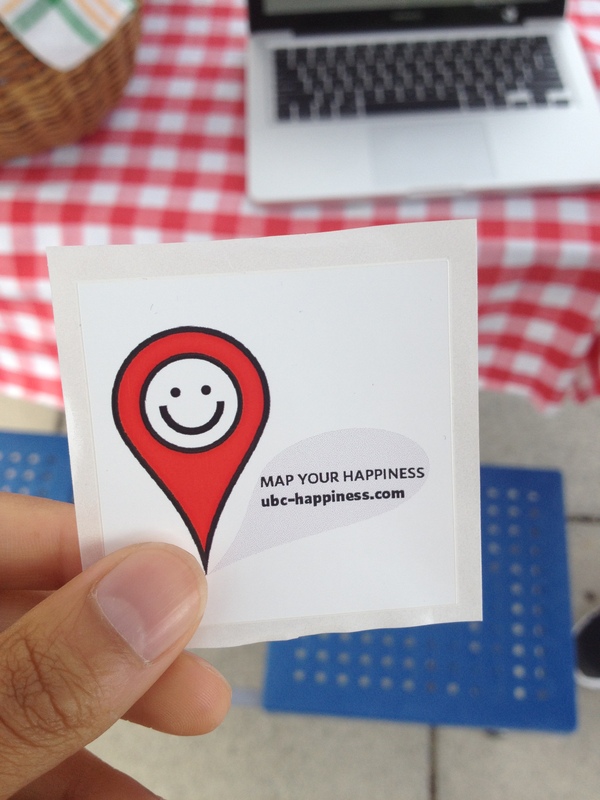 She’s assisting with UBC’s happiness project led by the psychology department in hopes of exploring happiness levels on campus in relation to place and community. She showed me to a laptop where I was to type in the place on campus where I feel the happiest. Her name is Delane and she is my stranger of the day. Her happy place on campus is Pacific Spirit Park — a giant, borderline-magical forest that glistens in the sun smells like the rain. I told her about my project and asked if she would be free later so that I could learn more about her story. She was warmly receptive to the offer and I’m glad I asked. When we met later, she thanked me for my friendliness, saying it was refreshing amidst all of the rejections she and her team were getting while approaching people on campus to explain their project. It was heartwarming to hear this and I could certainly relate to the feeling of uncertainty when approaching strangers. 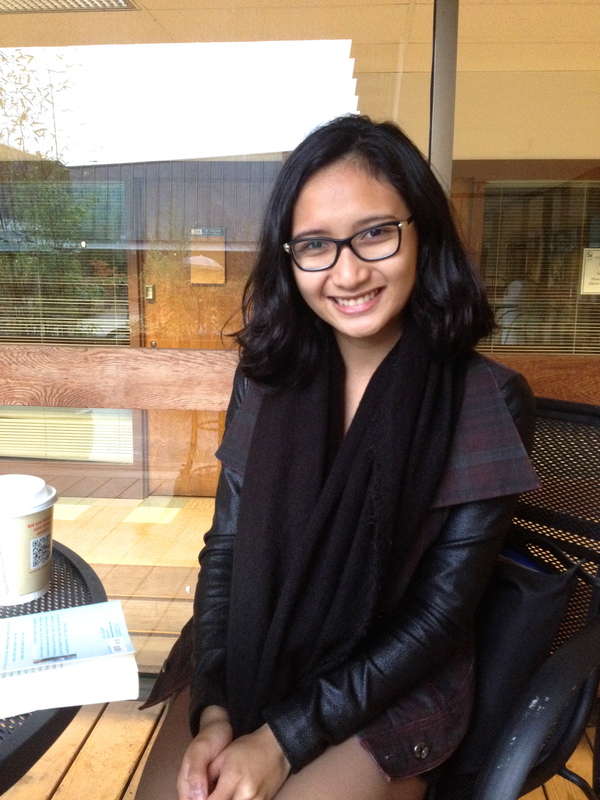 Delane is studying biopsychology at UBC. She is fascinated by neuropsychology and how the brain works. She and our mutual friend Lindsay started a group at UBC called Project PATHS (Parkinson’s and Alzheimer’s Targeted Hope and Support). She realized that our campus lacked a focus on these important areas and when she learned that Lindsay felt the same way, they just had to start the group. In her free time, Delane loves to sketch, read, and take photos. She spent some time in New York this summer, where she would sit in Grand Central Station and sketch. She was pleasantly surprised when passerbys would stop and talk to her about what she was drawing. When she returned to Vancouver, she sketched outside, party to sketch but partly because she missed having strangers approach her to chat. But to her dismay, no one in Vancouver approached her. She acknowledged that perhaps it was just the spot she had chosen but feels as though it may be a reflection on our city. Delane’s advice? “I’m a big fan of growth”, she said, speaking of personal growth. She believes that we are fundamentally flexible and malleable as human beings, and that our capacity for growth and knowledge is profound. She told me about how she used to procrastinate a lot, mainly on social media. “It was a waste of time”, she said. Now, she always has a book on her. She’s always learning new things in a conscious way, nurturing her growth whenever she can. Her advice would be to try to adopt a similar approach to learning and growth and personal development. Delane has an uplifting presence and a kind heart. It was a pleasure to have met her and I’m looking forward to seeing her around campus. Side note: Earlier today, I bumped into James from day 79. He was working on the happiness project with Delane! I was also pleasantly surprised when I was on the bus home tonight and a familiar face came and sat beside me. It was Juliana, my stranger of the day from day 7! She and I met nearly 80 days ago. We shared a great conversation which made the bus ride more exciting and less mundane. And it turns out she’s living a block away from me. This project has connected me to the people around me in ways I could never have anticipated.